Every user who is looking into upgrading their computer will not get around heatshrink tubing! 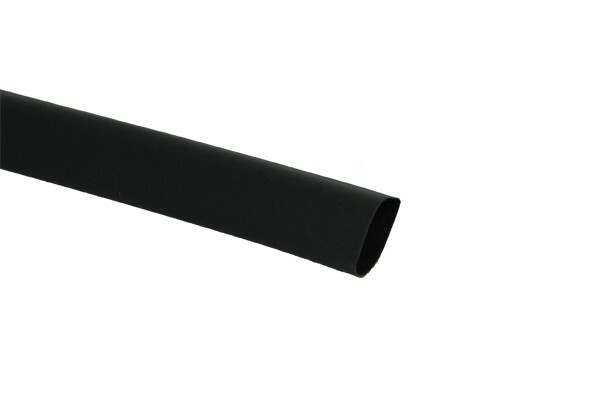 Phobya offers heatshrink tubing in black and white and virtually all sizes which are needed in a computer are available. The thin heatshrink can be used to safely reconnect shortened cables to e.g. a plug. The large diameters can be used to whole cable strands to e.g. optimize airflow in the enclosure. This heathshrink has a shrinking ratio of 3 to 1. This means that it has only 1/3rd of its original diameter. The length shrinks barely at all with this heatshrink! Nessuna domanda è stata ancora posta. Avviso: La tua domanda sarà visibile pubblicamente e potrebbe essere risolta da un membro della nostra comunità e dal nostro team di supporto. Puoi modificare il tuo nome utente pubblico e le tue impostazioni di notifica via email nel tuo account cliente.